A Floating Heart Table Starter! Company is Coming and Cupid is Too! 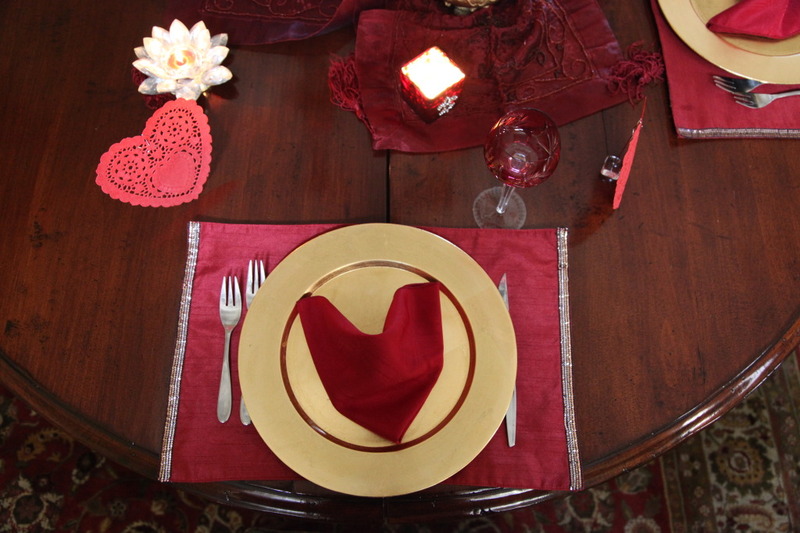 With company coming, and love in the air….we dressed up our table in a hurry with floating hearts standing at attention. This 3P table tip gave our “scape” a pro-feel through an added layer of dimension. This creation was crafted in minutes, and had all of our hearts a-flutter with paper hearts a-floating! 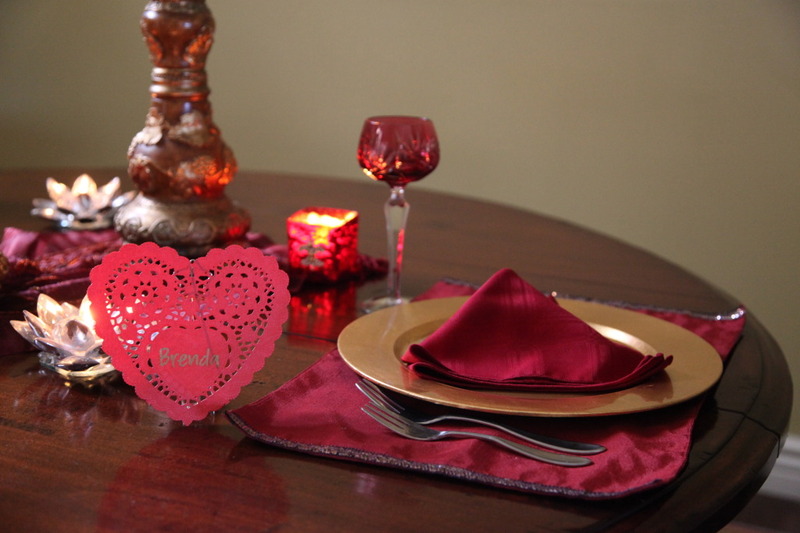 This table is timely for Valentine’s Day, or could even be used for a romantic anniversary later in the year. 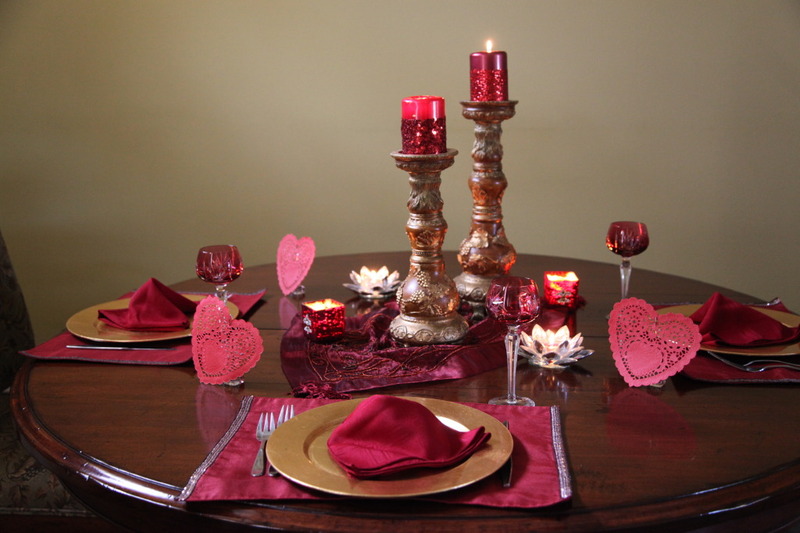 By pooling a jeweled red table runner around our standing candle holders, and swapping our orange-red candles for sequined beauties…our dining room table transformed into true love masterpiece. 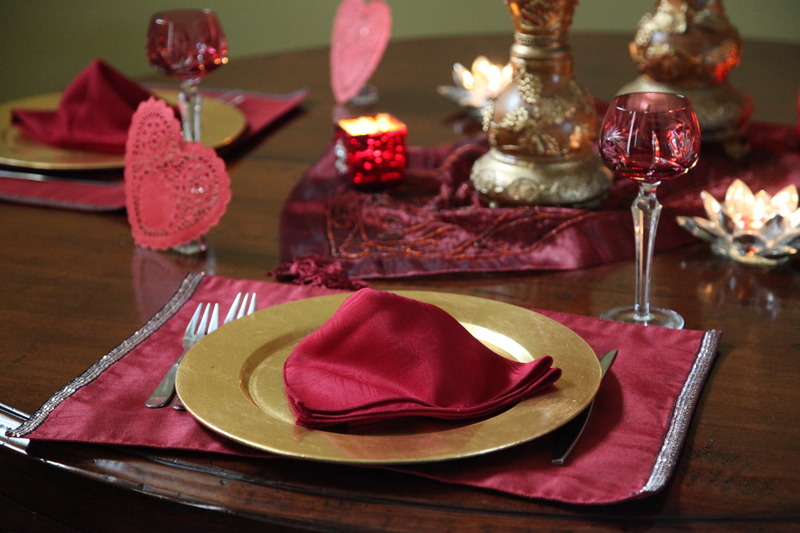 Simple sequined placemats anchored gold chargers adorned with red napkins, which were folded into heart-shaped triangles and propped just right. Adding light and extra shimmer was a cinch with our favorite crystal candle holders each packed with a tea light. Scattering a few red paper heart doilies around the table for balance and color gave us the idea to “float” a few paper hearts that would double as place cards. We added our guest of honors name as well as our own to these hearts and stood back to admire our “hearty-work” before our heart healthy meal! 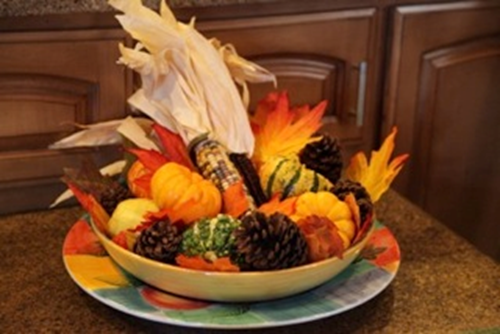 Click HERE if you missed it! Last year readers were sure to share what got their hearts a-float with parties and ladies lunch ideas…let’s wear our hearts and ideas on our sleeves! Share how you’re loving your Valentine’s Day! Cute and easy idea! I think I’ll try this!